In just over a decade, the Web has evolved from an experimental toolfor a limited community of technically inclined people into aday-to-day necessity for millions upon millions of users. Today’s Web designers must consider not only the content needs of the sitesthey create, but also the wide range of additional needs their usersmay have: for example, those with physical or cognitive disabilities,those with slow modems or small screens, and those with limitededucation or familiarity with the Web. Bestselling author Sarah Hortonargues that simply meeting the official standards and guidelines forWeb accessibility is not enough. Her goal is universal usability, andin Access by Design: A Guide to Universal Usability for Web Designers,Sarah describes a design methodology that addresses accessibilityrequirements but then goes beyond. As a result, designers learn how tooptimize page designs to work more effectively for more users, disabledor not. Working through each of the main functional features of Websites, she provides clear principles for using HTML and CSS to dealwith elements such as text, forms, images, and tables, illustratingeach with an example drawn from the real world. Through theseguidelines, Sarah makes a convincing case that good design principlesbenefit all users of the Web. I recomend for interaction designers, not for web designers only, but for anybody in digital medium. Great book. Needs to be condensed. The information is great, and she has a unique angle, but I would like to see a second edition that is about 1/3 the length. Much of the content is repeated many times over and it could be condensed and re-organized. Buy this with Don't Make Me Think to round out your knowledge. 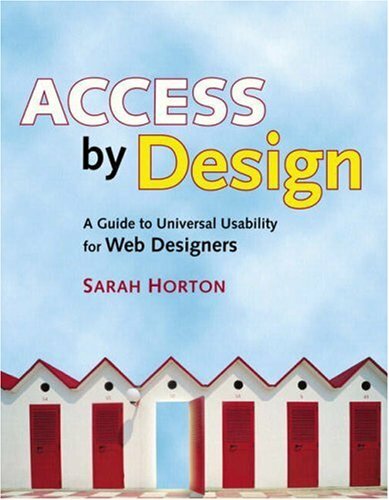 "Access by Design" by Sarah Horton is valuable and worthwhile because it nicely exposes the genetic link of accessibility to its more popular cousins -- functionality and usability. Accessibility is one of the most touted yet often underutilized tools in the web worker's repertoire. Misperceived as only a tool for reaching the hearing or visually impaired audience and doomed to the "nice to have" list on many projects, accessible design too often takes a back seat to design relying heavily on images and sophisticated layout. The approach of Sarah Horton's book is appropriately to make the concepts of accessibility accessible to the web workers whose opportunity it is to make their work maximally digestible. Each essential element of a site's guts is discussed first in theory then in practice. Color, text, structure; HTML specific elements like lists, tables, and forms ... are aptly discussed in their shades of underlying purpose and then explored and elucidated with germane examples both good and bad. These examples particularly make the book fun if only just to flip through. Refreshingly the author takes on the likes of Microsoft and Audible.com, using the razor of analysis and good taste to dissect her specimens and demonstrate attractive graphic design and good web design are not necessarily the same thing. In conclusion, I highly recommend "Access by Design" on the merits of its conscientious but practical promotion of accessibility combined with its focus on functionality and usability. The timely arrival of well-written books like Horton's builds on the rising tide of Web 2.0 attention. The oh-so-two-oh design goals of taming the wily information wilderness--transforming clutter into neat packets of visually appealing and streamlined content--can sometimes seem a bit overdone to many. "Access by Design" does not come across preachy or pedantic. I would challenge any web developer or artist (as I have challenged myself) to investigate the practical advice found in solid works like this one. It's time we understood accessibility's benefits to not just the visually and hearing impaired, but its benefits for everyone who reads, views, interacts with or otherwise enjoys the web browsing. "Access by Design" by Sarah Horton is valuable and worthwhile because it nicely exposes the genetic link of accessibility to its more popular cousins - functionality and usability.Accessibility is one of the most touted yet often underutilized tools in the web worker's repertoire.Misperceived as only a tool for reaching the hearing or visually impaired audience and doomed to the "nice to have" list on many projects, accessible design too oftentakes a back seat to design relying heavily on images andsophisticated layout. The approach of Sarah Horton's book is appropriately to make the concepts of accessibility accessible to the web workers whose opportunity it is to make their work maximally digestible.Each essential element of a site's guts is discussed first in theory then in practice.Color, text, structure; HTML specific elements like lists, tables, and forms... are aptly discussed in their shades of underlying purpose and then explored and elucidated with germane examples both good and bad.These examples particularly make the book fun if only just to flip through.Refreshingly the author takes on the likes of Microsoft and Audible.com, using the razor of analysis and good taste to dissect her specimens and demonstrate attractive graphic design and good web design are not necessarily the same thing. In conclusion, I highly recommend "Access by Design" on the merits of its conscientious but practical promotion of accessibility combined with its focus on functionality and usability.The timely arrival of well-written books like Horton's builds on the rising tide of Web 2.0 attention.The oh-so-two-oh design goals of taming the wily information wilderness - transforming clutter into neat packets of visually appealing and streamlined content - can sometimes seem a bit overdone to many. "Access by Design" does not come across preachy or pedantic.I would challenge any web developer or artist (as I have challenged myself) to investigate the practical advice found in solid works like this one.It's time we understood accessibility's benefits to not just the visually and hearing impaired, but its benefits for everyone who reads, views, interacts with or otherwise enjoys the web browsing. 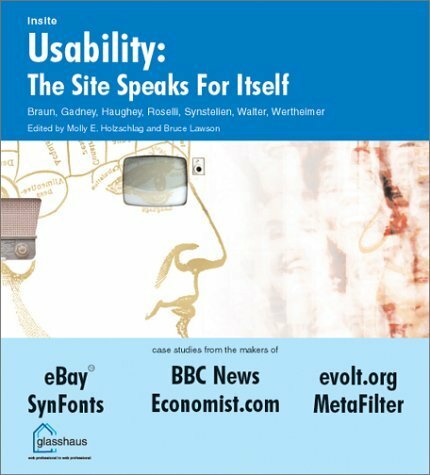 In 2000, Jakob Nielsen, the world’s leading expert on Web usability, published a book that changed how people think about the Web—Designing Web Usability(New Riders). Many applauded. A few jeered. But everyone listened. Thebest-selling usability guru is back and has revisited his classicguide, joined forces with Web usability consultant Hoa Loranger, and created an updated companion book that covers the essential changes to the Web and usability today. 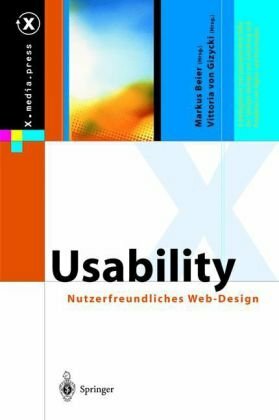 Prioritizing Web Usabilityis the guide for anyone who wants to take their Web site(s) to nextlevel and make usability a priority! Through the authors’ wisdom,experience, and hundreds of real-world user tests and contemporary Website critiques, you’ll learn about site design, user experience andusability testing, navigation and search capabilities, old guidelinesand prioritizing usability issues, page design and layout, contentdesign, and more! Search is one feature that will help users navigate to and inside your Web page more easily.Internal search engines are actually better than external when looking for site-specific information; also, utilizing search engine optimization and rankings on the search engine results page will increase visits to your site.Once users get to your site, they need to be able to navigate it; users have certain expectations of how each site they visit will work.Navigation on your Web site needs to be consistent with other sites navigation designs.Also, make sure your Web site's clutter is reduced, avoid redundancy, and be specific with links and label names.Once you have made your appearance preferable and easy for the user, you then need to focus on content. Users speak a different language than Web site developers.When putting content on your Web site, first make sure you use minimum 10-point font and have a readable mix of font styles and colors. Then, you need to understand how Web users read; users are turned away by confusing content.The key is to use simple language and only put what is necessary on the home page; you can always layer more information on deeper links.Once this is done, the authors advise readers to provide good product information and win customer confidence.Finally, make sure to balance technology and multimedia content on your Web page; do not make your page confusing or bloated with videos and un-loadable items.The final and most important rule of usability is to keep your design and content simple; this is the most difficult combination to perfect, but if you get user input and listen, your Web page will be successful. Nielsen and Loranger went very in depth about all of the above aspects of this book.If you are looking to learn about a specific topic or about everything to do with usability, this book can satisfy that craving.The one thing I noticed first about this book was that it was a real study conducted and therefore, very credible.A big positive of the book was that it was packed full of examples.For almost every point made, there were pictures of Web sites that both represented the positives and negatives of the point.I also liked the fact that the past, present, and future were addressed; the authors referenced a lot to what problems used to be in Web site usability, then what problems have continued on into current usability problems, and then forecasted what future usability problems will look like.I do not know a lot about usability or Web terms, so a drawback for me was that the information bored me in some places and I would get tired of reading the book after a chapter.I found that moving slowly through the book was the key to optimal learning. I would give this book 4 out of 5 stars.It was a very good read; this book was written in plain language and had a lot of good information that could be used for any person's website.The one drawback was that it had almost too much information in it; I was so overwhelmed by all the problems to do with usability that I never could really focus in on a few main ideas.Overall, though, great book! This book has a lot of information for those learning to build websites or desire to improve webpage design. The book is well organized and has lots of examples to illustrate the principles. 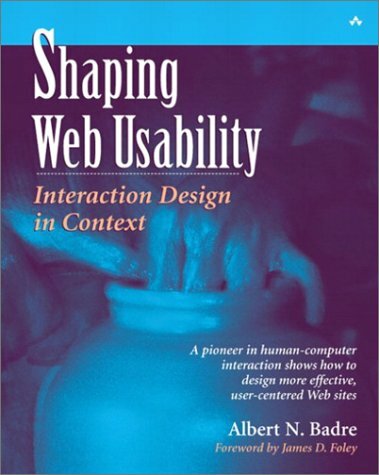 I did my thesis on web usability and this book was a very helpful resource in my research. Why helpful? Because instead of sifting through literally hundreds of published papers, some of the info is readily available in this book. After all, author and usability pioneer wrote most of the papers I deal with. The book is a follow-up to 1999's Designing Web Usability: The Practice of Simplicity (DWU). The simple cover is an indication of what the book is all about-- when it comes to the web a little common sense and simplicity goes a long way. Twelve chapters comprise the book and are a wealth of information and even critiques some of the conventions web professionals are used to, an example is the Three Click Rule. The book also contains guidelines and best practices for an array of website types (product pages, search, help pages, etc.). Past issues dealt with on DWU were revisited as well. If you need intermediate facts and figures on usability, visit UseIt.com, Jakob Nielsen's website. But for more in-depth and extensive information, Prioritizing Web Usability is for you. I found this book to be a rare gem. The author provides concise, factual, practical information on web usability. I found it invaluable in our web projects and I believe you will too. If you've ever sorted through the many volumes you'll soon discover that most books are written to be sold to you and contain only enough info to make for useful sound bites on the back cover. This book is an exception. It is fantastic. You will learn from this book. This book came in pristene condition.It is out of print, but my instructor was AMAZED at what a nice book I received over the net.I've already sung the praises of Amazon.Thanks!! This book is an excellent resource for basic web design. While it is an older book, it still has much to offer the beginner. The illustrations support the text and aid learning. It is well organized. 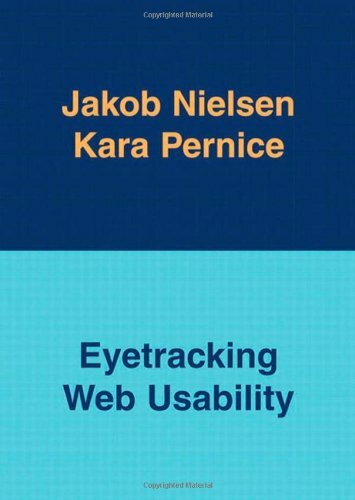 Jakob Nielsen is the web usability guru and this is the best web usability guide. Read it! A web usability classic from 1999 from the perspective of the designer (not the software developer). It is excellent in its reasoning; it is nearly ten years old. That makes the examples historical (interesting for their own right). Nielsen's depth of thinking and writing talents make the contents still valuable for today. The quality of Nielsen's forecasts is amazing. Only the micro payment idea proved to be wrong in favor of the advertising model. "Designing Web Usability" is printed on excellent paper. This paper is very heavy, reducing the usability of the book for traveling. "Designing Web Usability" is chockfull of examples. The examples are in very different styles. This can not be avoided. Still it hurts the ability of a smooth read. In summary you get a profitable read for a quiet week. 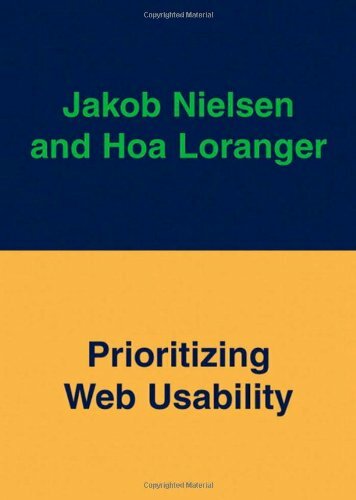 I have read the usability books of Steve Krug and Prioritizing Web Usability of Jakob Nielsen, and this book is a great addition to them. It is easy to digest, offers many visual examples and offers valuable new insights based on what Eyetracking can do but normal usability testing can't. They broke down their conclusions in general guidelines which can be used for practically all sites. Like the other usability books, this book is a must ready for anyone (designer, developer or manager) involved in webdevelopment. The eyetracking screencaps in this book are crap. Due to poor use of color, among other things, it's impossible to see the numbering on most of them. This makes it impossible to follow the eye tracking sequence without reading his explanation. This renders most of the "screencraps" unusable. Maybe they should have hired a usability expert! As one of the other reviewers said, there's not a lot here that will break new ground and most of the points made are things that experienced UI designers already understand. Two exceptions for me were the findings about the attractiveness of text as a design feature and the exact degree that banner blindness can affect a user's experience. Although a lot of the findings in this book will be more profound for those with less experience, it doesn't mean that this book is ideal for beginners. Quite the contrary, I think the people who can make the most use of this book are people who already understand just about every UI guideline in this book. I say this because this is a book that's all about data and evidence of things a lot of us already know, but can't convince others of. It's a book that might help you persuade someone who's insistent that things need to be done a certain way that perhaps a different approach would be better. This book really covers a niche topic and will probably bore anyone who doesn't have a high level of academic curiosity to tears. For rookies looking for design tips, there are far more concise and easier to understand volumes of work. In many ways this is a very long research journal article produced in the form of a book. The tomes of data and explanations overwhelm the scattered number of important design points in the book. If you just want to skim the big take away lessons from this book, you can do it in one sitting. Just look at the pictures and read the captions. If you need more background info, then read a few pages around the illustrations for more info. My one critique of the book and one that might knock half a star off my rating if Amazon did half stars was that the book was difficult to follow in some stretches. The way they wrote the narratives about their subjects' behaviors and motiviations were often hard to understand and in many cases, it may have been better to simply use more bullet points and illustrations instead of full text narratives of how the subjects were navigating. They often mention their subjects by first name and it gets hard to keep them apart in your memory. There are many designers out there that hate Jakob Nielsen with a passion. They don't like the fact that he "gets in the way" of their creativity. You know what? He only says what he says because he and his staff have observed way more web users using websites than probably anyone else in existence. Those that hate the guy need to grow up and read this book, and his others, to ensure they aren't one of the many designers that continues to propagate the web with designs that frustrate users. What I like about this book is that most other usability books have what some people would call "subjectivity". However, this one talks about where users' eyes fixated and traveled on a page. There isn't much subjective about that. For example, when someone doesn't even take a peak at one of those huge images a designer put on a page to make it look cool, you can pretty much say that image is useless. Some may think the material repeats suggestions from his past books or other books, but I think it is nice to now see even more backing/support for those suggestions. This book's main focus is "to study look patterns and how they relate to Web usage". It is "not a general book about Web usability", although it gives an excellent insight into why people go to certain areas on a page. Throughout the eight chapters, we learn how "Eyetracking" technology works. Also, you will find a summary covering human behavioral patterns, resulting from these extensive studies. The authors point out the need for corporate executives to stand aside and let the professional graphic designers do their job. They show how upper-level management employees who know nothing about design and graphics can destroy the design due to ignorance of "web usability" and drive customers away. Five years and more than 100,000 copies after it was first published,it's hard to imagine anyone working in Web design who hasn't read SteveKrug's "instant classic" on Web usability, but people are stilldiscovering it every day. In this second edition, Steve addsthree new chapters in the same style as the original: wry andentertaining, yet loaded with insights and practical advice for noviceand veteran alike. Don't be surprised if it completely changesthe way you think about Web design. "I thought usability was the enemy of design until I read the first edition of this book. Don't Make Me Think! showedme how to put myself in the position of the person who uses mysite. After reading it over a couple of hours and putting itsideas to work for the past five years, I can say it has done more toimprove my abilities as a Web designer than any other book. Usability design is one of the most important--yet often least attractive--tasks for a Web developer. In Don't Make Me Think, author Steve Krug lightens up the subject with good humor and excellent, to-the-point examples. The title of the book is its chief personal design premise. All of the tips, techniques, and examples presented revolve around users being able to surf merrily through a well-designed site with minimal cognitive strain. Readers will quickly come to agree with many of the book's assumptions, such as "We don't read pages--we scan them" and "We don't figure out how things work--we muddle through." Coming to grips with such hard facts sets the stage for Web design that then produces topnotch sites. Using an attractive mix of full-color screen shots, cute cartoons and diagrams, and informative sidebars, the book keeps your attention and drives home some crucial points. Much of the content is devoted to proper use of conventions and content layout, and the "before and after" examples are superb. Topics such as the wise use of rollovers and usability testing are covered using a consistently practical approach. I have nothing bad to say about the book but I have nothing great. This book will give you the basic blue print for creating good UI. where a bit up to date. "Common Sense" yet Expert Resource! "Very approachable material on a very important discipline in Integrated Marketing and Communications today. As the subtitle, "A Common Sense Approach", and Krug's consultancy's name, "Advanced Common Sense" ([...]) convey, many great design considerations today involve some simple approaches to dramatically improve your web user experiences. Krug also points out the increasing needs for Accessibility and the advantages that CSS sheets provide for web design pros. Many book suggestions and resource links provided as well. Should be a desk reference! My thoughts on not having to think. This book collects a body of common sense and real-world reality to the web-design world.In an environment where there is a temptation to create a better shaped wheel, it's refreshing to have an author remind us that wheels are round for a reason. I had to read this book for a usability class and I found it to be really enjoyable. It reads fast and the author throws in lots of humor to make it fun. I also learned a lot about usability. book is in good condition. the seller just saved money on posting and it took forever to get to Hawaii. I got this book unexpectedly. I wrote to Glasshaus expressing the difficulty in purchasing their titles in India and Bruce Lawson, their Brand Visionary, promptly responded with details and followed it up by sending me a complimentary copy of this book. I was quite surprised, to say the least. It will be tempting to dismiss this as a mere publicity gimmick, but Glasshaus does have a unique way of going about their publishing business. Take a look at their site. I wonder how many other big names in publishing maintain an interesting and useful blog, to mention just one. Coming to the book itself. 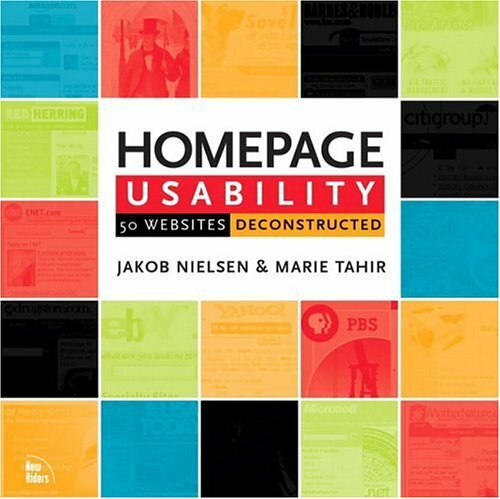 I have copies of Jakob Nielsen's books, "Home Page Usability" and "Designing Web Usability". 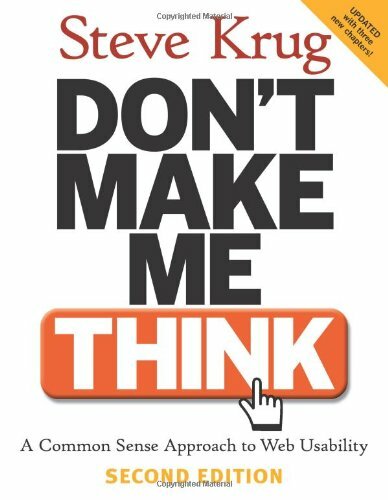 I also have Steve Krug's "Don't make me think" among other books on usability in my personal collection. This Glasshaus title is as different as can be from all those books. For the first time, one gets to hear first person accounts of the how and why of usability decisions made on major, major web sites. I mean, when you are talking about Economist.com, BBC, eBay, evolt, MetaFilter etc, you are talking about some of the most powerful and influential web sites today. The personal narrative form of exposition is another refreshing change; you feel each author is talking directly to you and sharing his/her experiences in making the kind of usability decisions they did for their websites. Each account, when read carefully, can help a web professional connect the excellent groundwork of experts like Nielsen to the practical compulsions behind real-life usability decisions. Another excellent aspect of the book is the range of web sites that are represented, right from the publishing might of the Economist to the media powerhouse that is the BBC to the ecommerce success of eBay to powerful online communities such as MetaFilter and Evolt. To round all this off, there is a personal ecommerce venture (SynFonts) that is an excellent showpiece for how the Web allows one man to compete with many. In other words, a terrrific amount of thought has gone into developing this book and Glasshaus cannot be commended enough for putting together such a fine team to share its views. I felt that non-profit and church/spiritual (beliefnet would have been a great example) sites were perhaps the only major categories to have been left out. Perhaps a second edition of this book will address that lacuna. 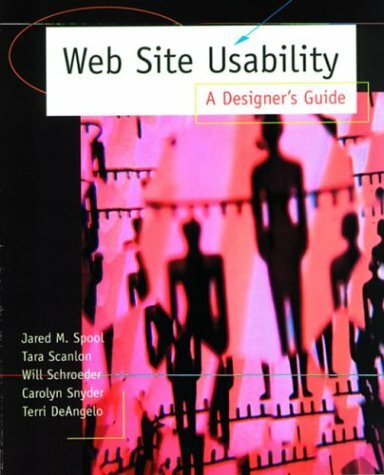 The only other book of this genre that I can think of is "Web Site Usability: A Designer's Guide" by Jared M. Spool's User Interface Engineering (uie.com). But, I don't have a copy so can't really comment. If you are looking for practical examples of usability decision making, this book is a great title to have. Perhaps this review will serve as quid pro quo for Glasshaus' excellent gesture in sending me a complimentary copy that has given me so much learning. Usability: The Site Speaks For Itself has been bedside reading for a couple months.This book has been a great downtime inspiration.This book, unlike the Guru usability books, teaches you how to approach Web interface design and development with the user in mind.The hard fast rules some experts espouse do not always work well with our own users.This book does a wonderful job teaching us how to think through the process.The book provides examples of six varied sites and their developer's approaches to creating usable sites for their audiences.This books is a joy to look at as well as read.There are many nuggets tucked in the pages that make it worth the price.When building Web sites it is best to remember the one constnt is it all depends and we need to know how to think through these situations. I found this to be a waste of my time and money. I had to choose a book on usability in order to make a presentation on for a usability course I am taking at Ohio University. For the course we are reading Jakob Neileon's "Designing Web Usability." This book is a good book on usability. I found "Usability: The Site Speaks for Itself" to be very uniteresting. The author's are constantly comparing themselves to Neilsen and tearing his books down. While I agree with the authors that there is no "one size fits all" approach to designing on the web and that different things work for different sites, Nielsen does as well. It seems to me that the authors should have worked on providing more useful content and a better layout (the book is laid out very poorly) than trying to bring Nielsen's views down. I highly suggest that you don't purchase this book, but if you have money to throw away, send me an email, I have some real estate in Flordia I want to sell you too. I for one, am tired of being presented witha prescriptive list of 101 'guidelines' and being told that they will solve all my usability problems, if only I would just implement them. The authors of this book will explain why they bent the rules, and sometimes discarded them completely. The book consists of a pragmatic introduction "beyond the buzz: the true meaning of usability" by Molly Holzschlag followed by the six 'tales from the design face'. Each chapter starts with a slightly cheesy, yet endearing question and answer session where the author(s) are asked to comment on items ranging from their favourite pizza, to their rating on a 'geek index'. I found this one page intro helped me to view the authors as human beings, rather than as 'subjects'. At the end of each chapter the authors are given the opportunity to give photographic examples of items that they personally rate as being 'usable'.. The sites covered range from large companies like the BBC and Economist through to community sites like Metafilter and Evolt.org. Also included are chapters on 'e-bay' with tens of millions of users,and the one man SynFonts site. Each of the tales are compelling and you want to keep reading to see what happens next. The authors concentrate on why they did things, rather than how they did them, so you won't be getting tips on implementing navigation schemes in PHP or ASP.But you will find out why eBay mergedtheir design and usability groups into one, why Flash was the right solution for SynFonts and why both evolt and MetaFilter decided that un-threaded comments were the way to go. The publishers have put a lot of effort into every detail of this book. The layout enhances the readability of the book, and the screenshotshave been carefully chosen to reinforce the text rather than act as page candy.If I had to pick one element that illustrates this attention to detail, it would be theindex. Bill Johncocks has done an excellent job in producing an index that adds real value to the book. I wish more publishers would follow this example and employ professional indexers. The book features case studies from the designers behind six different sites who demonstrate how they created their usable sites. It accurately declares itself a guru-free zone. Glasshaus moves away from the traditional guru lecture of "do this, don't do that" and show-offy reading. Instead, the book offers an easy read with a friendly tone based on the designer's style. Meet the the designers of BBC News, Synfonts, eBay, Economist, evolt.org, and MetaFilter. The designers talk about their own Web site and how they worked to make the site what it is today. Every stage in the design of a new web site is an opportunity to meet or miss deadlines and budgetary goals. Every stage is an opportunity to boost or undercut the site's usability. This book tells you how to design usable web sites in a systematic process applicable to almost any business need. You get practical advice on managing the project and incorporating usability principles from the project's inception. This systematic usability process for web design has been developed by the authors and proven again and again in their own successful businesses. 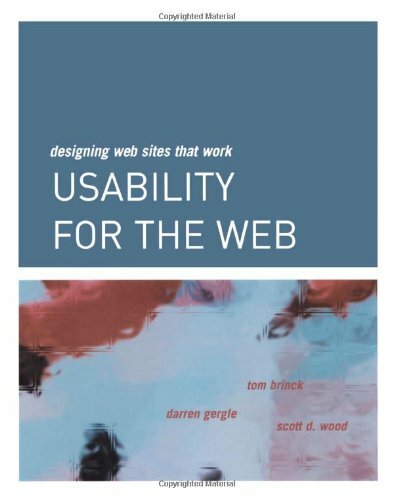 A beacon in a sea of web design titles, this book treats web site usability as a preeminent, practical, and realizable business goal, not a buzzword or abstraction. 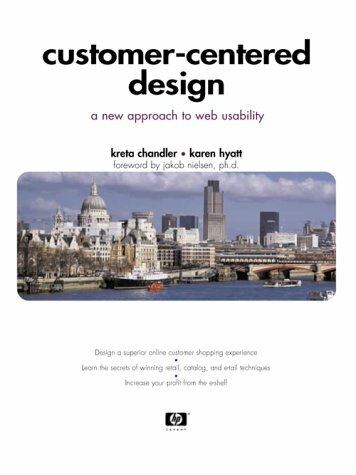 The book is written for web designers and web project managers seeking a balance between usability goals and business concerns. * Examines the entire spectrum of usability issues, including architecture, navigation, graphical presentation, and page structure. * Explains clearly the steps relevant to incorporating usability into every stage of the web development process, from requirements to tasks analysis, prototyping and mockups, to user testing, revision, and even postlaunch evaluations. This book contains a lot of usable usability practices that really works! You can get literally all the details of usability testing practices in this book, as well as how to run them. And good amount of pages are spent for user needs analysis and task analysis as the first steps explaining Web site engineering approach. These materials are really helpful in conducting actual usability testing to get effective results. And many concepts are also categorized, organized, and explained in a lot of tables. 1. Omnipotent model: Because people have perfect knowledge, they donft err in any way. 2. Most rational model: People click interesting links only. 3. Minimum effort model: People behave in ways with least mental efforts. 4. Mental map model: First, people build their mental map according to the Web site structure. They donft use navigation in that site which doesnft fit with their mental map. 5. Repeat fixed ways: People like his own way. They repeat their fixed ways irrespective of their inefficiency. 6. Get nearby information: When handy resources are found nearby, people use them and donft go outside. 7. Cost-performance approach: Best strategy will be determined by this cost-performance approach. One more important practice to develop a Web site that really works is to consider the gInternational Differencesh such as languages, units, symbols, currencies, date & time, and conventions. These points are correctly addressed in this book to make your Web really workable in the international grounds as well. This book is a really remarkable work from the point of usability practices. Don't miss this book! This book is great and very informative, however the only thing I would change (perhaps for a second edition) would be to make it spiral bound so it could lay flat while I am using it at work, which would also make it easier to photocopy the different checklists (very helpful!). This is one of the best books ive ever read from any category. The author's flow from chapter to chapter is excellent. He describes in very good detail the pitfalls that many websites fall into by sacrificing appearance for usability. He makes his convincing case why the central focus of websites should be usability which is indeed rarely emphasized. The book elaborates as to the various stages you should involve users and various members of your design team into your development. Definately a keeper. 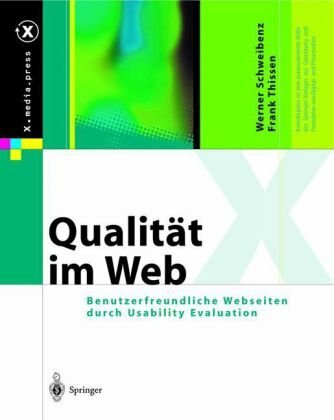 The best book for web usability..! When I'm working and need to grab a book to take into the bathroom, it has typically been something light and definitely not work-related.The Stranger, maybe, or a Bathroom Reader.However, ever since I bought "Usability for the Web", it's been my bathroom book.I've already read it cover to cover, but opening it to a random page and reading for 10-15 minutes (or, what the heck, even 45 minutes) always gets me thinking of ways to improve what I'm working on.As other reviews have stated, there is nothing groundbreaking about this book.However, this is the ONLY book you will need on web usability.In fact, this book effectively replaced my books on usability, design, and architecture.All of which I read, and mostly enjoyed, but few of which I will ever pick up again. The design of the book is also very nice, easy to read and with full color throughout. 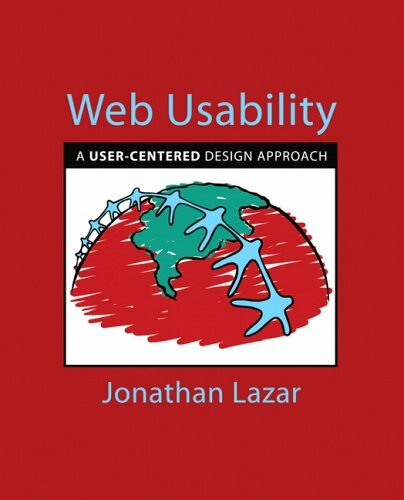 If you ignore the dreadful attempt at creating a pattern language and simply focus on the usability, the book is marginally better.However, there is almost no focus on the user.There are merely a few rules to follow that may or may not result in a usable website. If you are conversant with patterns from the seminal "Design Patterns" by the Gang of Four (Gamma, Helm, Johnson, Vlissides), do not purchase this book.I have not yet found a reasonable book that discusses patterns as applied specifically to web usability.Most of the books in this field either miss the point of patterns or are not conversant with usability. If you are new to usability in general, I would recommend Barnum's "Usability Testing and Research".It gives you the necessary background, plus can be used as a handbook to design your own usability test.It is an excellent introduction to the subject. 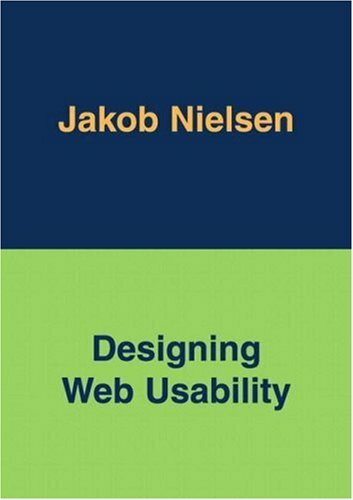 If you are a bit more experienced with usability, but not necessarily with the special considerations for websites, I would recommend Nielsen's "Designing Web Usability".It is a much better-written book and describes the necessary concepts much better than this one. If you are simply looking for a book because you've heard that 'patterns' and 'usability' will help your career, read through the books that I've listed above, in the order that I've listed them. 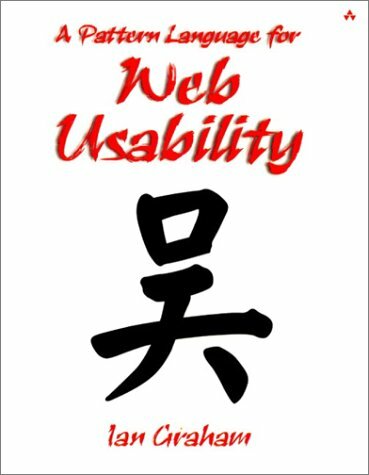 Wu is an acronym for web usability, a group of dialects spoken in Eastern China and a common Chinese family name. Despite millions of hours spent in development and millions of words written about how to do it right, many web pages still are poorly constructed. 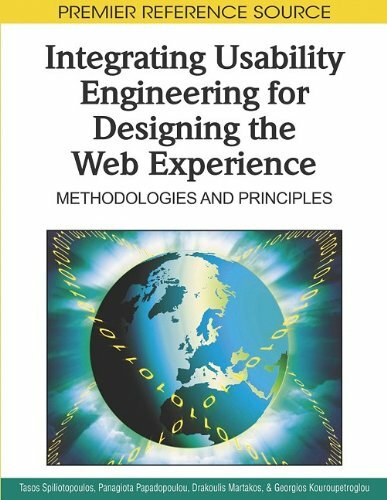 In this book, Ian Graham sets down a set of 79 patterns that are used to describe the principles of web usability. These patterns together form a set of best practices, therefore the pattern language is called Wu. Like most patterns, this group is a set undergoing constant improvement and refinement. Nevertheless, they are mature enough to provide a solid basis for making web sites work correctly. In general, each pattern is introduced by giving the name and a figure illustrating the pattern. Most of the figures are screenshots of web sites and others are pictures of related topics such as a still life or a cartoon. The next step is to describe the problem that is to be solved, followed by a more thorough description of the problem and a sketch of the solution. This is followed by a therefore section, which is a one paragraph summary of the solution. If applicable, the pattern is closed by a list of the sources for the pattern. These patterns are a valuable contribution to the literature describing how to do web page development right. Succinct and yet with sufficient detail, studying them will give you perspectives on web design that you most likely have not yet considered. Reading this book is well worth the effort, and you will be rewarded by having a web site that may take less time to construct, maintain and will be easier to use. Consider it spending a little to save a lot. While the book does keep it's focus on "usability" it really is about the best workflow and not about "patterns". Software patterns refer to meta-systems (such as say an eCommerce or Portal system) and how they are consctructed. I did find the workflow techniques quite helpful though. I give him credit for putting them in print. Ian's outdone himself this time! "Wu" is brilliant. This book is a template for wringing coherent exposition out of chaos. While there are many web-topic books that promise to instill the secrets of designing for information access, this is the first web "how-to" I've read that actually delivers the goods. Graham has broken away from the pack by using pattern language analysis to derive guidelines for design decisions, instead of nailing rules to the door and justifying them after the fact with personal belief, or trying to bend established standards from older media to fit the demands of the web. Graham shows more than just answers. He shows how to flay a problem down to its bones, then build a solution by piecing together related, interconnected subsolutions. By understanding the rationale and behavior of the pieces, we develop faith in the appropriateness and completeness of the solution. The connections and relations of the 79 patterns in Wu lend themselve to graphic understanding. Dependency charts for Enhancing Usability (fig. 3.8) and Adding Detail (fig 3.13) lead you through the dance of the patterns in a way that compels to to flip to the pattern descriptions and read each one to follow the logic like an unfolding detective story. There are no hard and fast rules here. What we have now, thanks to Ian Graham, is a set of building blocks from which we pick and choose according to our needs and to the requirements of the design problem at hand. Part 4 of the book gives examples of constructing web sites by sequentially evaluating the fit and contribution of the available patterns. This is a systems approach to usability design, with the added advantage that the system works. I always refer to this book before making any updates/changes to my home page/website. I would also recommend Jakob Nielsen's website for additional usability resources/information. This is a nice book...but..Idk..i don't really use it. I bought it for an online class and I haven't looked at it much. Maybe I will when I get more time.. I bought this book when it first came out. This was an amazing critique of many major websites and I learned a lot from it. I no longer refer to the book as websites have evolved so much from those days. Yes, you can still learn from it but for me now the book is a nostalgia trip into 2001 websites. I think the first generation of great websites. If you can buy this book cheap it is worth getting. Very high quality book but don't pay full price. More about users than about web pages! This is a serious work on Web Usability that attempts to define in detail the user context and to construct a user-centred methodology based on that context. There are so many books on web usability these days and most of them are about web pages first and people second. Doctor Badre's approach, though, is firmly grounded on the human side of HCI and some of the material in this book is outstanding. The chapter on "Older Adults" is a great example. Badre is fastidious enough to consider the different cognitive needs of people in this group and to consider the implications of those needs for the designer. Elsewhere he considers personality variations, the role of affect (or emotion), and many other individual differences. In contrast, however, Badre has a strong leaning toward standards and predictability, which seems to contradict his comments elsewhere. Having identified the myriad reasons the web audience is uniquely diverse he nevertheless finds traditional HCI evaluation techniques attractive, and sometimes fails to bite the bullet. For example, Badre insists that "Testing conditions ... should approximate the actual situation in which ...visitors are likely to find themselves." Yet he does not display any distrust of laboratory testing, questionnaires and all the artificialities of user testing that would suggest a more ethnographic approach. The material on the test methodology is therefore somewhat weaker, but does not detract in any way from the main part of the book, where Dr Badre's experience in Human Factors allows him to illustrate with considerable skill the way design features can be adjusted to meet the cognitive abilities of real human users. In this arena, Dr. Badre is a leading authority, and it is for this, the main body of the work, that I would strongly recommend this book to web and usability professionals alike. What use is a Web site if no one uses it? Too many Web design books and development tools provide cut-and-paste solutions to design problems without providing the developer with an understanding of fundamental principles. This is where Dr. Badre's book enters the scene - in a big way. "Shaping Web Usability" does just what it promises, providing clear, cogent instruction in designing sites for people in all their needs and diversity. It promotes a robust methodology for Web design that can adaptto user requirements without sacrificing logic or cohesion. Badre's process also helps one communicate methodology and design issues to others. This book gave me the grounding I needed to explain to clients exactly why I had made a particular design decision and how it would benefit the site users. If you are concerned about your site being used once it is published (and who isn't? ), take a look at this book. It can't make your Web site for you, but it can help you identify and satisfy an online audience better than any other book on the shelves. 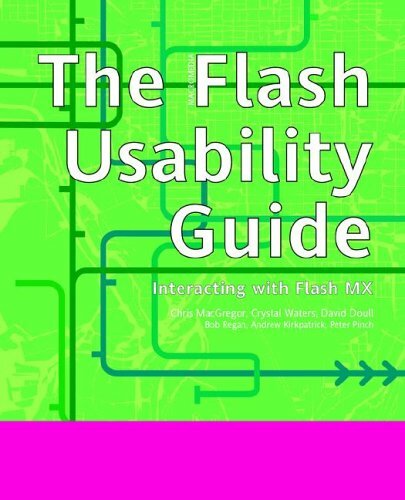 This book is unlike many other web usability books.It goes well beyond the cookie-cutter guidelines for fast web usability, and gets the reader thinking deeply about contexts of web usability. It focuses on the real important issues and concepts.However, it is not an abstract or theoretical book. The author illustrates the concepts and explanations with numerous real examples from the web. This book is a must read for web designers, information architects, and web usability engineers. Dr. Badre has written an interesting work which thoughtfully examines two important concepts: genre and cultural context.In addition to plenty of solid HCI theory and empirical data, Dr. Badre provides clear examples of how close attention to the genre of one's site and the cultural context in which it is most likely to be viewed will provide a more useful and pleasurable experience for the user. With these simple and powerful concepts, Dr. Badre provides some excellent guidance to new and experienced website designers. Flash AS2 avec symbole en Biblio > TipTop! Livre vraiment intéressant et pleins d'exemples super efficaces, reutilisables. Flash avec la gestion de classe via des symboles dans la bibliotheque. Livre intermédiaire de POO par rapport au livre de peter elst "OOA for Flash8". Mais très intéressant pour ses recommandations. Dommage que la présentation du site au Chap15 ne soit pas plus expliquée( la gestion du panier). this book has its good points and bad but it was poorly poorly written and poorly organised. the classes that can be downloaded from the companion site are probably worth the price of the book as an intro to OOP but the explanations and execution in the book are poor. 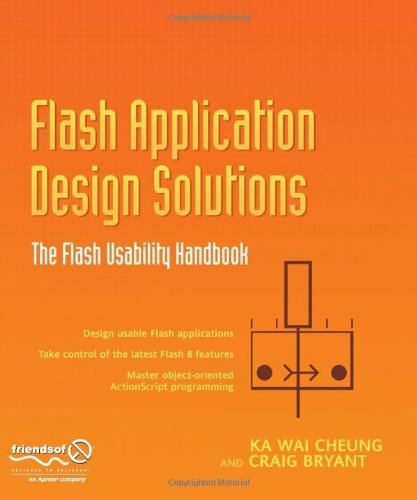 Flash Application Design Solutions was recommended to me by a co-worker of mine when I started learning OOP.I currently work at Avenue A | Razorfish in the Chicago office where we create sites such as Postopia [...].In an ironic occurrence, it turns out that Craig Bryant, one of the authors of this book, was the person who set up the original framework for the Postopia site.I've met Craig only once when he and Ka Wai made a presentation (a really cool one, at that) at the Apple store on Michigan Avenue.They definitely know what they are talking about and this book is no exception. I was eager to get started here after I had already realized the basic building blocks of OOP and wanted to get a bit more of an edge on setting up my projects.The book didn't disappoint as it gave me at least two very valuable classes that I still use to this day.The UIObject class is now the core building block of any navigation system I build and the (what I named) Broadcaster class (that is essentially the same as the EventBroadcaster in this book) is just about the best way to communicate between classes. Chapter three is a great introduction into extending basic frameworks.Each and every chapter has a great introduction on what is an issue in the work you're about to tackle.Ka Wai and Craig then tell you how these issues can be improved and finally we go on to improve the issues to see exactly how much of a difference their process makes in developing your own solutions in the future. Chapter six has a fair warning by the authors that it is a bit long winded and is relatively hard to get through unless you are going through and following the source, but it uncovers a really neat system of inventory views and selection devices.I'm normally not a huge fan of building one large application throughout a technical book, but its almost necessary to show how to extend the core and your own classes and build up the concepts from start to finish. For anyone who has already read the Object Oriented Programming for Flash 8 title and is looking for a bit more on OOP, I'd definitely recommend this book as a companion.It'll help you get through that gray phase where you're now familiar with OOP concepts but you're not familiar enough to know how to practically apply them to your own projects. A sorely needed title in the Flash "application" space. This book is fantastic.It brings to the Flash community a real discussion of the oft-misunderstood "usability" that so many Flash applications lack.Books like this, and the work that it inspires are critical to helping Flash mature as a serious application development platform, rather than creating simplistic little "applets" and simple web commercials. The authors here deftly weave a compelling tale around the actual pieces of usability and functionality that make up application development in general, and tie it all back together with Flash as the development platform.Some great books exist out there that teach about usability and functionality design (Cooper's "About Face", et al), but this is the first that truly brings that sort of learning in an instantly applicable way to the Flash development community. "Of course, graphics may be important in other ways, such as for conveying marketing messages, making users more willing to return to the site, or selling products.We didn't measure these, so we don't know.But as far as we can tell, graphic design is completely unrelated to success in finding information on web sites." If you don't have this book, you're missing out on your single-most-important investment in your professional life! As a report on a major usability study this one is probably pivotal and I would recommend it to anyone involved in delivering a commercial web presence. Jared Spool and the UIE team discovered many new things in the studies this book is about. Up to the point of publication, web usability and general usability were closely equated, and not just the test methodology. But Spool's studies find unpredictable users surprising our preconceptions at every turn. Some may say that the book contains too many questions, but when Spool admits "we don't really know what makes a site usable" he is reflecting the number of surprises his studies unearthed. As for the causes of those surprises... the studies were performed as 'comparison tests' between sites that fulfilled wholly different purposes.... between (for example) Disney and Edmunds (car facts)... it may be invalid to compare usability between sites even if they are in the same domain, however, let alone when they are so diverse. For it may be a usability test can only identify weaknesses, not strengths. Perhaps that's why Spool says we don't know how to design for usability. One possible weakness of the tests was that they were designed as 'scavenger hunts.' This is still very common, however, and only by studying the results of this book is one led to suspect that this approach generates an overly-directed browsing behaviour, and thereore measures only a subset of real web visitors utilising only a subset of possible tasks, which are not a proxy for general usability. If you only read three books on web usability, this should be one of them.... Essential. I found this book to be quite helpful in preparation for designing a website.Since the website I am designing is strictly informational in nature, I learned many new concepts not only about the basics of a good informational site, but also about the “cruising” habits of web readers. The book is a quick read and I took many notes, but the important thing that I gleaned from this book was how to make my site informational, easy to navigate through and what works and does not work as far as design and color are concerned.As a cruiser myself, I know what bores me, irritates me, frustrates ma and what appeals to me when I am on a mission to find information and when I want to find it fast.The information contained in this little was quite valuable in that regard. This is NOT a book about design and the use of color, etc., but instead a book about making a site usable to the “cruiser” and then giving you, the reader, the information on how to attract users to your site, so that they won’t get irritated or frustrated.Admit it, we all have been to those sites!! I think one might be surprised when reading this book, that color, tons of pictures and graphics are not key elements in an informational website, and our preconceived notions will quickly be laid to rest! Very good book for a “newbie” starting out on the road to web-design as well as seasoned designers. When I first picked up this book I had incorrectly assumed it focused on the new accessibility features in MX. This is merely a small part of what the book offers, however. Instead, it gets into the nitty gritty of what developers and designers need to consider as they build their sites in order to produce work that users can ..well, USE. I found this book addressed and offered solutions to many common problems, as well as some more interesting and subtle issues that arise during site production. My only gripe was that at times I felt that, due to the multiple-author nature of the book, certain material was retread chapter to chapter. Although each chapter offered something new, it also presented material previously addressed. Still, a very helpful book of practical theories and implementations amidst so many tutorial-based books on how to achieve cool effects. Does your company Web site convey your messageeffectively? Are your customers finding what they need easily?Determining these factors is a difficult task that has challengedUsability professionals since the first Web page was posted. Company Web sites aren't optional in today's highly competitivebusiness environment and ensuring that your investment on the Web iswell spent, is a challenge facing all levels of Webprofessionals. With the hands-on guidance and examples provided inthis book, readers will find practical tools to make certain thattheir site is as effective and user-friendly as possible. They'lllearn to create sites that are free from navigation "dead ends",difficult to use interfaces, and other barriers to usability. 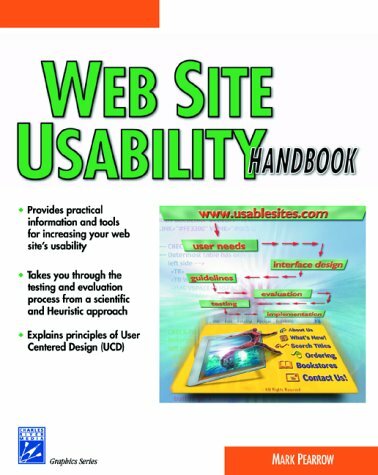 The Web Site Usability Handbook is for individuals who evaluate and improve the usability of Web sites. It does not, as the title might imply, specifically show Web developers how to make their sites more usable. 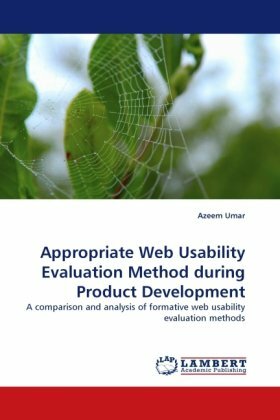 The book explores the growing field of Web usability, with equal emphasis on theory and practicality, and focuses primarily on measuring usability accurately and applying it to formal and informal testing. The concept of a usability toolbox--a collection of tools and techniques--is presented, along with sound reasoning for the use of each component. The tools vary from index-card sorting to heuristic evaluation to focus groups. There is some fascinating material also about the human factors of usability, such as the mechanics of vision and the idiosyncrasies of human memory. A chapter that's devoted to design guidelines includes some concrete suggestions, such as "don't overuse emphasis" and "make printer-friendly pages." This chapter contains no revolutionary ideas; instead, it's a helpful list of pointers that are worth revisiting from time to time. More elemental are the 10 usability heuristics that are presented in the next chapter and that were developed originally by usability guru Jakob Nielsen. These high-level concepts demand careful consideration, but can produce impressive results. I needed this book for a class of mine. I hesitated on buying it as I do all books for school, but I bought it. As soon as I started reading it it gave me information and answers I had been looking for. This book fills in the gaps about Web Usability that no other book has. It was a lofe saver. The concept of what should go into a web site is constantly changing. Therre was a time not too many years ago when every site had to open with a long Flash sequence just to show you that the developer knew Flash. This soon changed as site developers learned that visitors came there for information and were not usually in the mood to watch a cartoon or type flying across the screen. Now the big sites seem to have gone away from all but a little bit of Flash. This is just one example of things being done to make the web more usable. This book talks about making web sites more usable. It is not a checklist or simple cookbook of things to do. Instead it is a text on the overall concepts that you can use to put together a study to determine the usability of your site. Indeed it has enough information for you to become an expert working in this area as a consultant or corporate employee. This is the second edition of this book, the main differences are that it is brought up to date, and is written in a much more serious tone as the whole concept of web usability has become more professional. I have read and re-read this book until the cover is nearly worn out.I originally used it to get up to speed on what web site usability means to me as a User Interface designer and Information Architect.I more recently re-read it to prepare a presentation on Usability Engineering.Unlike many fluffy "design concepts" or "best practices illustrated" manuals, Mark's book goes into detail on "how to" evaluate web sites for potential usability problems.It goes into more depth (and yet is easier to comprehend) than most other texts I have read on the subject of web site / web application usability.After re-reading it for 1.5 hours I was able to put together an effective outline for my usability engineering presentation; the outline contained over 15 3" x 5" note cards distilling the essence of good usability practices into a series of audience understandable bullet points, and was successful in landing me the opportunity I was seeking with a very demanding client.I have also used it in the past to spec out the equipment, roles, staff, and monies needed to put together an effective usability testing center. Regardless of whether your needs be instructional or professional, this is the Usability primer for you! Academic in the worst sense. The author states that the book was created as a text for his class and it certainly reads like a textbook. For a book that is about usability, the text is almost unreadably tedious at times.(e.g. "...the first step toward Web site usability is to figure out the main goals of your Web site.For labeling purposes we will call these 'goals of the purpose. '")Each of the points in the book is better made and illustrated in other texts (Krug - "Don't Make Me Think" is good).The attempts to lighten the subject with gratuitous cartoons and humor were more irritating than amusing.